Ophidian is a snake dungeon crawler! 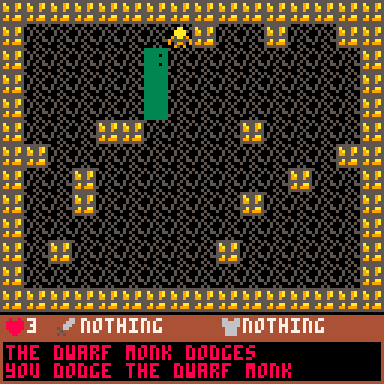 After an accident sends the player snake tumbling down nine levels into the local dungeon, they must fight their way out - battling plenty of enemies and finding many items that can help them in the process! The itch.io page for Ophidian lists just how many enemies, levels, boss fights, and items there are. 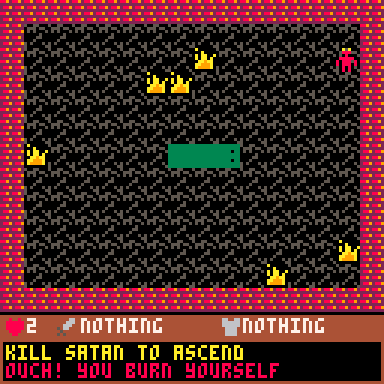 Ophidian was built using PICO-8. All the code, audio, and images are original and created specifically for this game. great idea. I like the concept. Pretty awesome considering the limitations of pico! nice work. feedback: input felt a bit laggy behind. would detect the ladder 1 move before i actually got there. I liked this game quite a bit. Althought I don't think the game is too fast. 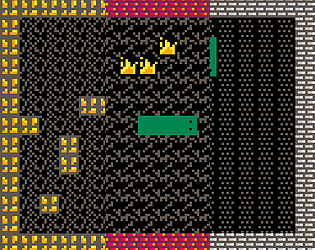 Instead, I think the controls are kind of slow to respond (input lag). I don't use Pico so I dont't have any sugessions there. Apart from that 10/10 on the concept. Also, I loved the little joke if you press any key other than x on the first screen. P.S. : Also, its possible to turn around too fast (down then left/right) and accidentally bump into yourself. Also i think i know what the issue is, All the buttons you press in the same frame are executed at once. This is an easy fix then. All you need to do is only take the 1st button pressed that frame. 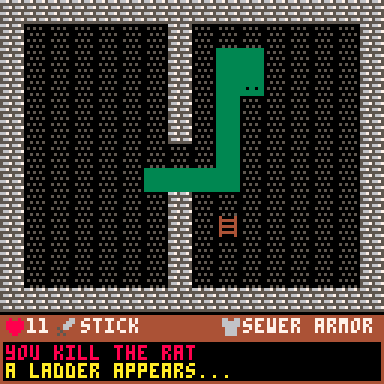 Very cool concept - a snake / dungeon crawler. I just wish it were a little slower! I know the uploads are locked for the jam, but would you mind putting out a link to a slower version hosted elsewhere for now? I really want to play an easier version of the game. I am not very good at this game. The concept is very awesome and interesting. Well executed! I like it a lot!